By breathing pure oxygen in a chamber that is moderately pressurized, dramatically increased amounts of oxygen will be safely delivered to all tissues in the body. This increase also occurs in places that have restricted blood flow or blockages. Hyperbaric Oxygen Therapy is emerging as a major medical therapy, both curative as well as preventative. Oxygenation produces considerable improvement in our overall health. There is no downside to Hyperbaric Oxygen Therapy; there are no negative side effects that can be damaging to your health. You may experience a popping in your ears as a result of the changing pressure that is identical to the experience of flying in airplanes. Hyperbaric Oxygen Therapy sessions are comfortable and typically leave one with an overall sense of well being. Pressurization is gradual and relaxed, allowing plenty of time to equalize your ears. The chamber is warm, cozy and equipped with pillows. Most people have a wonderfully nourishing nap, while others read and listen to music. 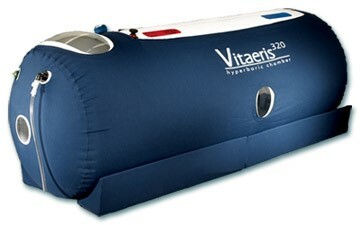 Who Benefits from Hyperbaric Oxygen Therapy? Everyone! From muscle to bone injury or infection to relatively healthy tissue, healing takes place three times faster with Hyperbaric Oxygen Therapy. It is noninvasive, safe, works well with other treatments and has a growing body of documented studies that prove that it helps people achieve better health and live longer with more comfortable and productive lives.